This Privacy Notice (“Notice”) describes how Seyfarth Shaw UK collects and uses your Personal Data in accordance with the EU General Data Protection Regulation (“GDPR”). This Notice tells you what Personal Data Seyfarth Shaw UK collects, why we need it, how we use it and what protections are in place to keep it secure. 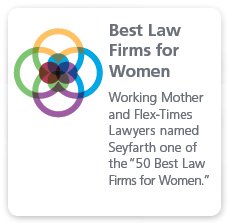 “Seyfarth Shaw UK” “we” “us” and “our” mean Seyfarth Shaw (UK) LLP. “Seyfarth Shaw UK Personnel” means Seyfarth Shaw UK’s prospective, present and past partners, employees, consultants and agency staff, and people connected to such persons. “You” means individuals whose Personal Data we process including, but not limited to Seyfarth Shaw UK’s clients, Seyfarth Shaw UK’s client personnel, counter-parties, counter-party personnel, other solicitors/advisors, witnesses, suppliers, supplier personnel, job applicants, individuals to whom we market and individuals who visit this website. “You” does not include Seyfarth Shaw UK Personnel. Seyfarth Shaw UK is the Data Controller in relation to your Personal Data and is committed to protecting the privacy rights of individuals, including your rights. Seyfarth Shaw UK is not required under the GDPR to appoint a Data Protection Officer and, following a detailed analysis does not consider it appropriate to do so on a voluntary basis. Seyfarth Shaw UK has however, established a Data Protection Committee (“DPC”) which is responsible for overseeing Seyfarth Shaw UK’s compliance with the GDPR and any other applicable data protection legislation and regulation. How does Seyfarth Shaw UK obtain your Personal Data? In some circumstances, we may obtain your Personal Data from you directly including through your use of this website and job applications but, more typically, we will obtain your Personal Data from a third-party source, for example, we may collect information from our clients/our clients’ personnel, agents and advisors, other law firms/advisors which represent you, the company for whom you work, other organisations/persons with whom you have dealings, government agencies, credit reporting agencies, information or service providers and publicly available records. What about Personal Data which you provide to Seyfarth Shaw UK? What Personal Data does Seyfarth Shaw UK collect from and about you? 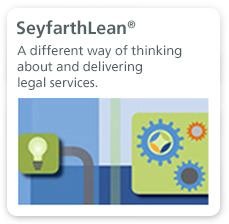 What is Seyfarth Shaw UK’s legal basis for processing your Personal Data? Under the GDPR, Seyfarth Shaw UK must identify a lawful basis for processing your Personal Data which may vary according to the type of Personal Data processed and the individual to whom it relates. Seyfarth Shaw UK is entitled to process the Personal Data it requires in order to fulfil its obligations under its contract with you. This will be the relevant legal basis if you are an individual client or supplier/other individual with a direct contractual relationship with Seyfarth Shaw UK. Seyfarth Shaw UK processes some of your Personal Data on the basis that it is in its legitimate interests and/or the legitimate interests of a third-party to do so. This will primarily concern the processing of Personal Data that is necessary to provide legal advice and services to our clients. 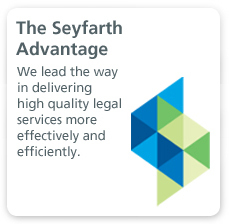 Seyfarth Shaw UK’s legitimate business interest in such instances is the proper performance of its function as an authorised and regulated provider of legal services. Seyfarth Shaw UK’s clients’ also have a legitimate interest (and more general right in law) in obtaining legal advice and services. Seyfarth Shaw UK may also process your Personal Data on the basis that it is necessary for its legitimate business interests in the effective management and running of Seyfarth Shaw UK which may include, but is not limited to: engaging suppliers and supplier personnel; ensuring that its systems and premises are secure and running efficiently; for regulatory and legislative compliance, and related auditing and reporting; for recruiting and hiring personnel; for insurance purposes; and to facilitate, make and receive payments. Seyfarth Shaw UK does not consider that the processing of your Personal Data, on the basis that it is within Seyfarth Shaw UK’s legitimate interests (whatever such interests might be), is unwarranted because of any prejudicial effect on your rights and freedoms or your legitimate interests. In certain circumstances, Seyfarth Shaw UK must process your Personal Data in order to comply with its legal obligations. This might include, but is not limited to, Personal Data required: for tax and accounting purposes; for conflict checking purposes as required by the common law and Seyfarth Shaw UK’s regulators; and for Seyfarth Shaw UK to fulfil its compliance and other obligations under relevant legislation/regulation. If Seyfarth Shaw UK processes your criminal records Personal Data or special category Personal Data relating to your racial or ethnic origin, political opinions, religious and philosophical beliefs, trade union membership, health data, biometric data or sexual orientation, we will obtain your explicit consent to those activities unless this is not required by law (because, for example, it is processed for the purpose of exercising or defending legal claims) or the information is required to protect your health in an emergency. Where we are processing Personal Data based on your consent, you have the right to withdraw that consent at any time. We may disclose your Personal Data to third-parties (outside of Seyfarth Shaw UK and Seyfarth Shaw UK Personnel) if, but only when, we have a legal basis to do. Such recipients include but are not limited to: Seyfarth Shaw, co-counsel, other solicitors/barristers/experts/foreign law firms whom we instruct on your behalf; Seyfarth Shaw UK’s insurance brokers and underwriters; Seyfarth Shaw UK’s bank, auditors and accountants; Seyfarth Shaw UK’s outsourced IT providers and other suppliers; HMRC; the Solicitors Regulation Authority; the Law Society; the Home Office and Passport Services; the other side/other parties on any given matter (lay and solicitor). In accordance with this Notice and the provisions of the GDPR, we may transfer your Personal Data to organisations located in “third countries” (those outside of the EEA) including Seyfarth Shaw. In addition to the security arrangements mentioned above in relation to our engagement of third-party organisations, where such transfers are required we will ensure that your Personal Data is adequately protected, for example, by using a contract for the transfer which contains specific data protection provisions that have been adopted by the European Commission or a relevant data protection authority. The transfer of your Personal data from Seyfarth Shaw UK to Seyfarth Shaw constitutes a transfer to a “third country” and, accordingly, we have contracted on such a basis. If you wish to see a copy of these Model Clauses, please contact the DPC. How long will your Personal Data be retained by Seyfarth Shaw UK? It is our policy to retain your Personal Data for the length of time required for the specific purposes for which it is processed by Seyfarth Shaw UK and which are set out in this Notice. However, we may be obliged to keep your Personal Data for a longer period, for example, where required by our legal and regulatory obligations or in order to ensure we have effective back-up systems. In such cases, we will ensure that your Personal Data will continue to be treated in accordance with this Notice, restrict access to any archived Personal Data and ensure that all Personal Data is held securely and kept confidential.